The good: Good ingredients and an older established company history. The bottom line: A good pill, but not good enough. 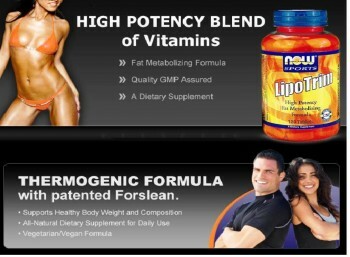 LipoTrim is a product of NOW Sports – a small part of a bigger NOW Company. NOW was established in 1948 as a provider of healthcare products. The company is known for competitively priced health products, which made their products available to more customers in the US. NOW Sports on the other hand, was established more than 30 years ago. Following the company’s philosophy, NOW Sports are producing different diet pill products at a relatively lower price making it more competitive and appealing to the mass market. The key ingredients in LipoTrim NOW are Choline and Inositol. Makers of LipoTrim Now claims that these ingredients can lower the levels of cholesterol, helping the individual achieve weight loss in no time. By combining these ingredients, the user should be able to redistribute cholesterol in their body which could be easily burned. These ingredients have been claimed increase the processing of fat in the liver. In doing this, fat in the body is easily digested and will prevent liver related diseases because dangerous fat is not there. Choline and Inositol are also effective vitamin supplements because it increases absorption of the needed Vitamins in the body. Vitamins A, B12, and E could be easily absorbed when a person takes Choline and Inositol. Other elements have been added in LipoTrim NOW is L-Carnitine which is supposed to address the fatty acids in the body. Taurine is also added in LipoTrim which increase the energy in the body. This is essential especially in burning fats since it helps the user have enough energy for different exercises which helps in metabolism and burning fats. 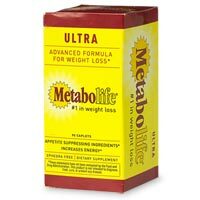 L-Methionine is also added in LipoTrim as it helps in digestion especially of fats. LipoTrim NOW may have something up its sleeve to help reduce weight but it’s still lacking in some things. The effects of Choline and Inositol have been claimed by the maker of LipoTrim. But there are no clear bridge between Choline and Inositol and its claim in lowering the level of cholesterol. When you’re researching about the product and its ingredients, you should look for its relationship for its weight loss for example, what hormone and acid it secretes or what part of the body it stimulates. LipoTrim NOW doesn’t explain that. All they say is that it could lower the level of cholesterol in your body. Another small feature that should get you concerned is the content of L-Carnitine content in their product. Although it can help burn fats, most of us already have a lot of L-Carnitine. And if ever we want L-Carnitine in our body, we should be taking four times more than three pills of LipoTrim. However, LipoTrim was smart enough to test their products. But instead of humans, they tested their products on mice. The effects were pretty positive in mice but that doesn’t mean it could be good for humans as well. LipoTrim NOW has components that MAY help you lose weight. But their trials and half-hearted claims should never be enough to convince the consumers to try their weight loss product. I ordered lipotrim on line,i had 14 days to try it out.when i placed the order before i would be billed $147.85.I did not get it until 14 days later.They still billed me. I called them and they sorry thats the way it is.So a company can take their time to send a product to you.I think this company is a joke.The lady on the phone would not let talk to a manger to explain. They still billed me. BEWARE!! TRIED THEIR OFFER GOT CHARGED FOR TRYING IT THEN IN 14 DAYS THEY CHARGED ME $147.95 ON MY DEBIT CARD TRYED TO CANCELL GOT NOTHING BUT A RUN AROUND!!! VERY POOR CUSTOMER SERVICE!! BEWARE PS IT MADE ME SICK! They sent me the pill for a trial 7.95 and then charged my account 147.95 in 14 days without my consent and then would not refund my money! So i went to my bank a filed a dispute because i wasnt aware of any additional charges when i agreed to the 7.95. I was very diappointed, very!